Have You Seen The New Design? The newly designed Scouts Australia International Scarf has now been produced, and is being worn proudly by members travelling around the world! 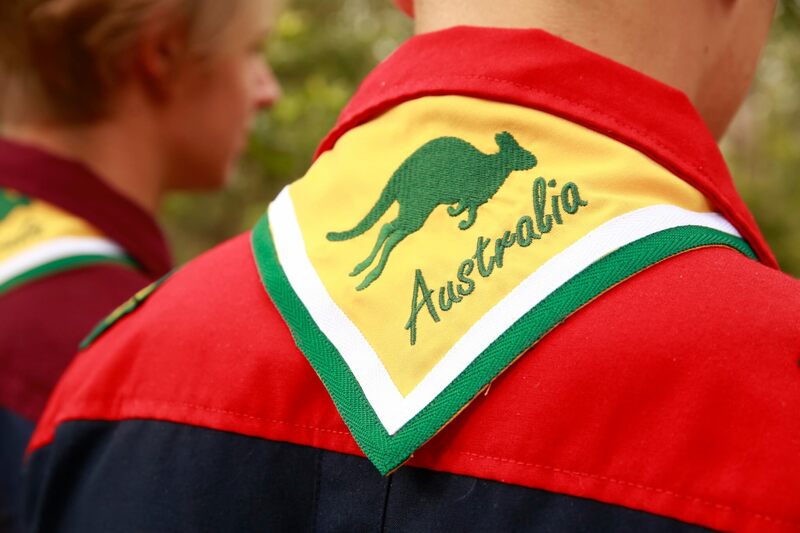 Scouts Australia produces a special scarf for use by members representing the Association when travelling overseas on approved activities. Following a National Youth Council competition to design a new scarf in 2015, we’re excited to announce the new design, and how you can wear one on your next international adventure! The winning design was submitted by Tomas A. The manufacturer made a few small adjustments to the design in consultation with the designer to make the scarf more affordable to make. Following final approval, it was officially launched on 1 January 2018. 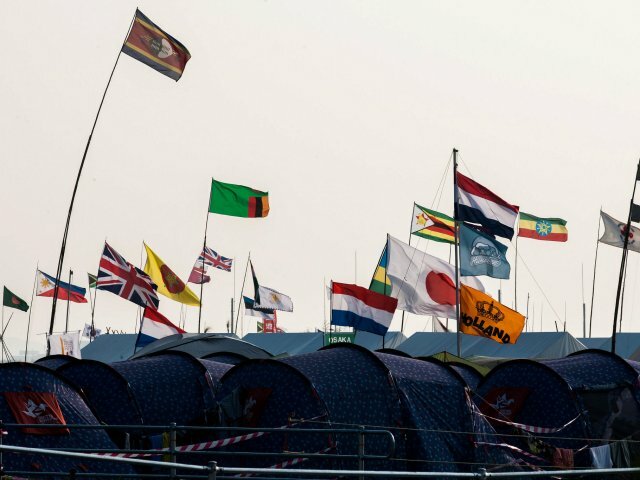 Several Scouts received the new scarf within days of the launch by applying for their International Letter of Introduction. The first Australian Contingent to wear it since its launch was to the 76th New Zealand Rover Moot during Easter 2018. The first Branch Friendship Tour to wear the new scarf since its launch was 2nd Baulkham Hills Outdoor Rover Crew (NSW) who travelled to Vanuatu on a Service Project in April 2018. Already this year nearly 300 members have been issued their Australian Scarves to wear on their international adventures with many more to be issued in the coming months. An applicant that has been approved for an International Letter of Introduction. The Australian Scarf is only to be worn when travelling overseas and should be tied with a friendship knot. 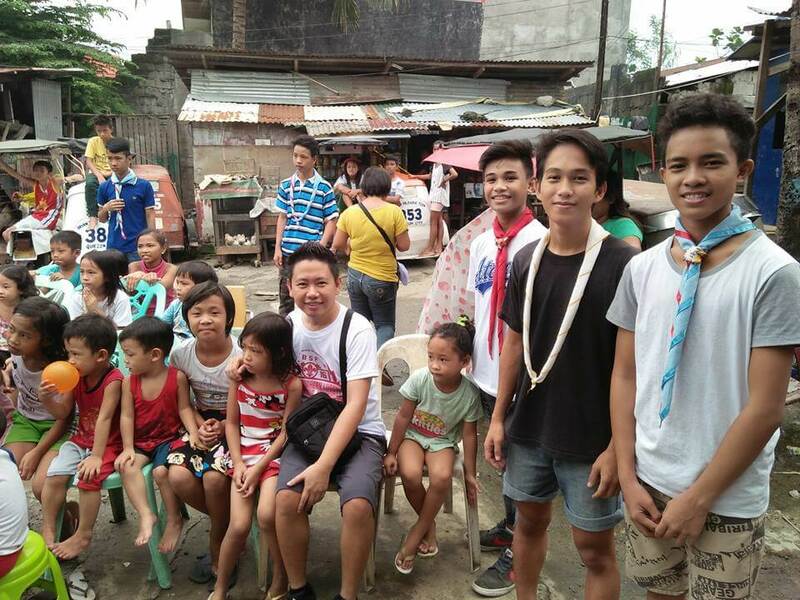 Members of Scouts Australia travelling overseas and wanting to join with a local Scout Group overseas must apply for an International Letter of Introduction. This document provides evidence that your National Scout Organisation has approved your involvement in local Scouting activities. The International Commissioner of Australia will communicate with the host country to verify your membership of the Association. Any member can complete an application for an International Letter of Introduction by completing the on-line form in the On-Line Event Management System (OLEMS). The cost of the International Letter of Introduction (including two Australian scarves and delivery) is $50. Scouts Australia leads in youth development for young people aged 5 to 25 years. Get outdoors, have fun and develop resilience and teamwork. We are child safe and open to all.